Well, it wouldn't be a new chipset and CPU launch if I wasn't trying to get my hands on a good ITX board to use in one of our LAN rigs. Especially with a few LANs upcoming. 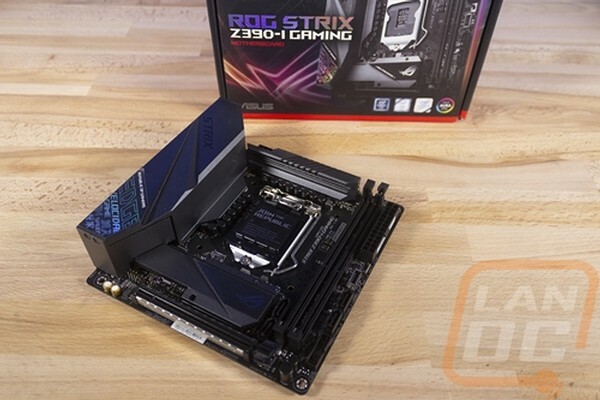 Well from looking at the initial boards announced for the Z390, one of the most exciting ITX boards was the Strix Z390-I Gaming from Asus and I was excited to see it come in. I'm curious what is different from the Z370 or the Z270 for the matter and to dive into Asus's feature set and see if the Strix Z390-I Gaming covers all of the bases for a high-end gaming PC that will take up less space on your desk and be easy to pack up and take to events to play with your friends. Let's run through the boards features, look at its software, check out the performance, then see how it fits in the market overall. Asus ROG Strix Z390-I Gaming Mainboard kaufen.